About "Compare numbers up to millions "
Compare numbers up to millions is the topic in which we are going to learn how to compare two numbers. 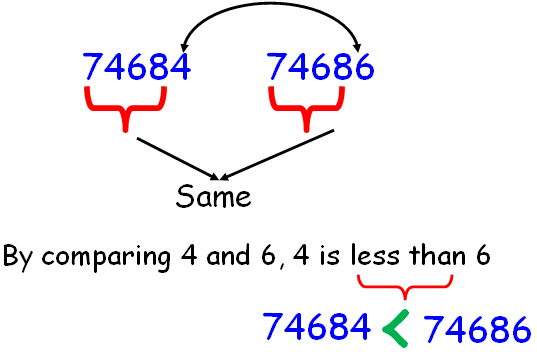 Before going to compare two or more whole numbers, we have to know about what is whole numbers. 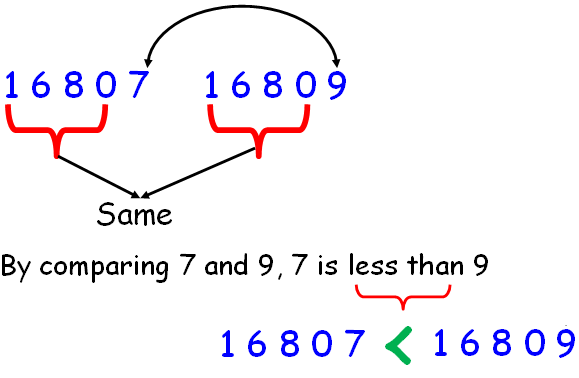 By observing the given numbers, both are having same number of digits. So we have to compare those numbers by comparing their place values. A toy factory manager monitored the number of toys made each month. In which month did the factory make the most toys? By comparing the numbers in the thousands digits 6 is greater than 1. From this we can decide 31,679 and 31,627 is lesser than the other two. By comparing the hundreds and tens digits we have 1 and 2 respectively. By comparing the ones digit 8 is greater than 7. From this we can decide that, they have produced more number of toys in the month of August. After having gone through the stuff given above, we hope that the students would have understood "Compare numbers up to millions". Apart from the stuff "Compare numbers up to millions" given in this section, if you need any other stuff in math, please use our google custom search here.